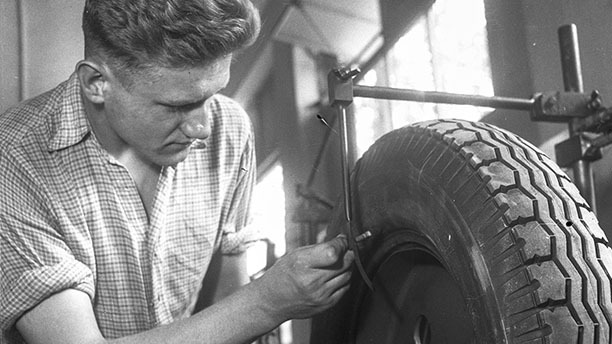 Our Tyre Expert gives you advice on how to handle your tyres and beyond that. Do you know the minimum tyre tread depth for summer tyres? Which tyres fit my car? When buying tyres, it's all about the right tyre size. We explain how to determine the permitted tyre size. To enjoy summer safely, the minimum permitted tread depth is a prerequisite. Find out what it should be. How often do you check your tyre pressure? Regular checking prevents wear and ensures safety.